If you like stories about family, that make you cry, this whimsical, mystical tale is right for you! I would rate this 5/5 stars! 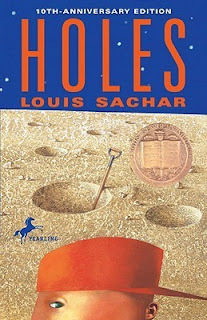 Holes, by Louis Sachar, Mostly Realistic Fantasy. Stanley Yelnat has a family curse, and now he is sent to Camp Green Lake, where bad kids each dig a hole five feet wide and five feet deep once a day. Stanley tries to find why they dig up holes in this evil camp in the middle of nowhere. If you like other books by this author, or like books with a Newberry Medal, this book is for you. 4.5 out of 5 stars. Want more book reviews? 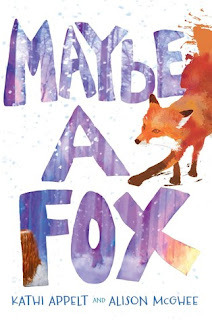 Click on the middle school tag for more middle schooler recommendations or check out #3rdfor3rd for book recommendations from my third graders. #DiverseKidLit for Nov. Share a link or find the latest diverse book recommendations here! 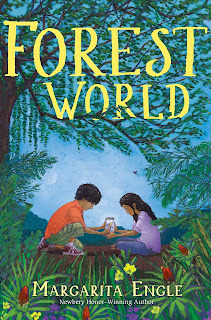 Forest World (2017) by Margarita Engle. This middle grade novel-in-verse is set in modern Cuba and told in the alternating perspectives of two siblings separated as toddlers: Edver taken to the US with his mom and Luza stated in Cuba with their dad. At its heart, this is a story of family and endangered species but seemed to skate over some issues (like not telling Edver he had a sister). This is a novel-in-verse narrated by a 15-year-old boy, William, whose brother Shawn was just shot and killed in the opening of the book. I don't want to give too much about the way about the rest of the book or its structure, so just believe me when I say read it. Immediately. It will be well worth your time (and as a verse novel, it's quick). Powerful. Happy Reading! Anyone else going to NCTE? Hope to see you there! 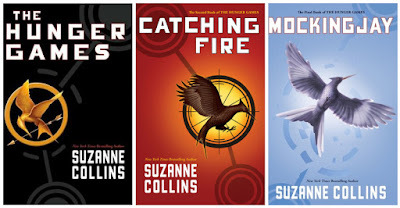 The Hunger Games books are dystopian novels by Suzanne Collins, author of The Underland Chronicles. You should read this series if you like adventure, dystopia, and a bit of sadness in books. Readers of the Divergent and Cinder series will also enjoy. In the first book, Katniss Everdeen volunteers herself to be a tribute in the Hunger Games, a sport held in the capital of Panem every year, where two children from each of the twelve districts are pitted against each other to the death, in order to save her younger sister from being sacrificed. When the other tribute from her district declares his undying love for her, she must create a story that will enthrall the viewers of the Hunger Games in order to win the favor of the Gamekeepers, the ones who can arrange for tributes to die, and the games. I rated this book 4.5/5 stars. It was amazing, but the series has yet to win the spot of my favorite book. This might have to do with the fact of my sister telling me that xxxxxxxx dies, which is completely ruining the second book for me. 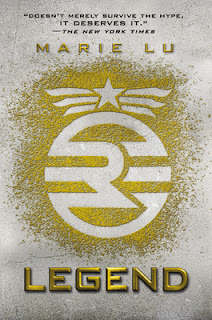 My book that i am recommending is called Legend by Marie Lu and I think it is a fantasy / dystopia / adventure genre. Day, criminal mastermind is trying to get medicine for his brother Eden who has come down with the plague, as he is escaping from his heist, Mattias a high ranking republic soldier stops him. Day throws a knife at Mattias making him fall to the ground. Day than proceeds to escape into the sewers. June Iparis, Mattias's younger sister is now on the case to find the republics most wanted criminal, Day. 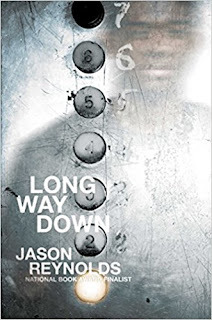 If you liked The Maze Runner by James Dasher you will love this book! We hope this community serves as a resource for parents, teachers, librarians, publishers, and authors! Our next linkup will be Saturday, December 2nd and the first Saturday of each month. 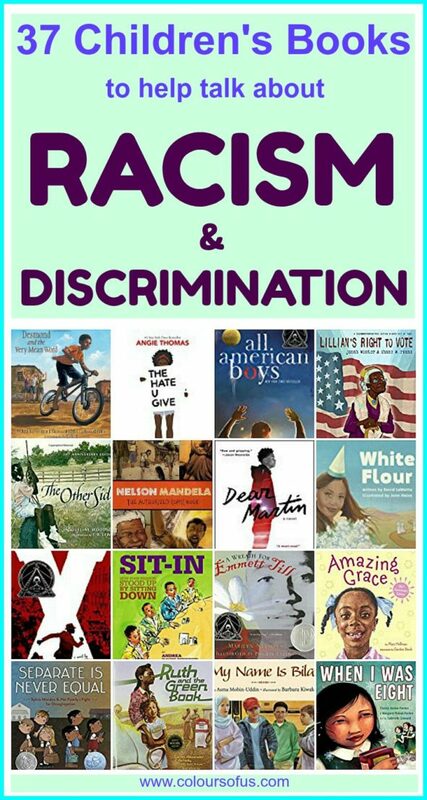 The most-clicked post from the previous #diversekidlit was Svenja's incredible resource: 37 children's books to help talk about racism and discrimination. This list is helpfully divided into books for elementary, middle, and high school ages and includes a brief description of each along with the cover image. Definitely one to bookmark and come back to again and again!